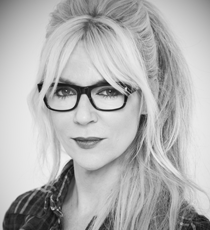 Morwenna Banks is an award-winning actor, writer and producer. She is a founding member of Absolutely Productions (producers of comedy including Armstrong & Miller and Trigger Happy TV) and has acted in film and television such as Saturday Night Live (USA), Skins, Saxondale, and The Thick Of It. She provides the voices for many animations from Monkey Dust to Peppa Pig. She has most recently wrapped of filming the new ITV drama A Confession. Fragile Films / Warner Bros.
Company: Fragile Films / Warner Bros.